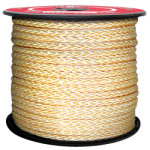 This aramid fiber rope has more strength pound-for-pound than steel wire rope. 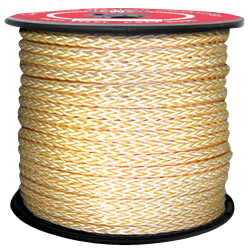 KEVLAR 12-Strand rope offers Low stretch, high strength and easy to splice. Ideal for applications that call for a high heat and low stretch rope. Custom sizes and lengths available. Call us!